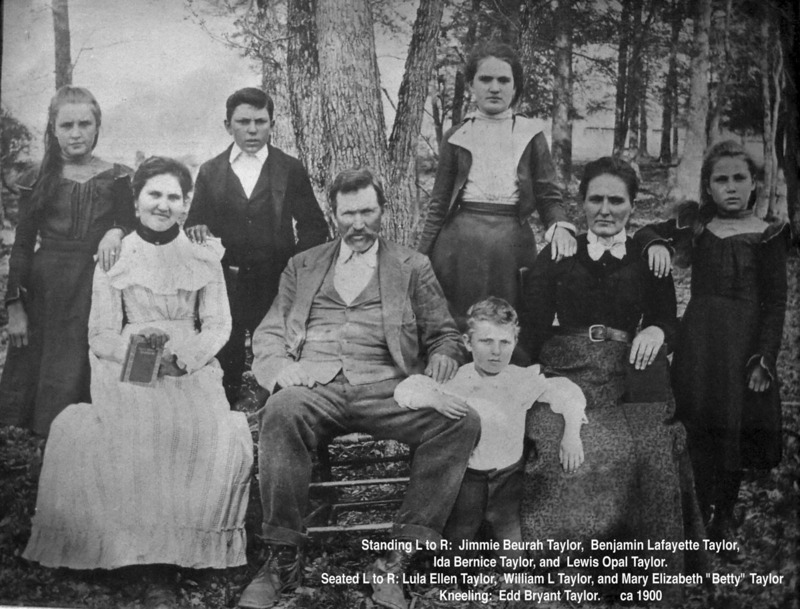 Lula was born on 17 SEP 1883 in Arkansas, the daughter of William Lafayette Taylor and Mary Elizabeth Lewis. 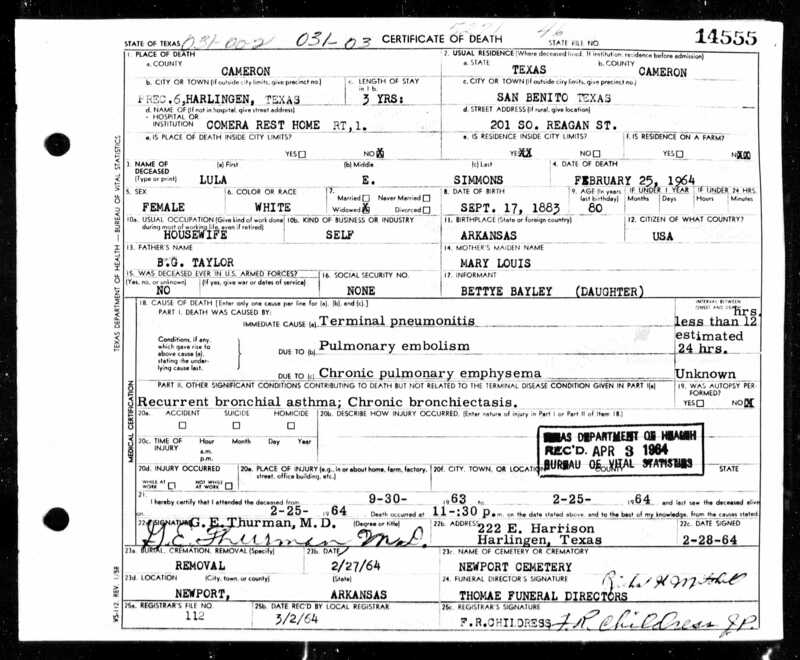 She died on 25 FEB 1964 in Harlingen, Cameron County, Texas. 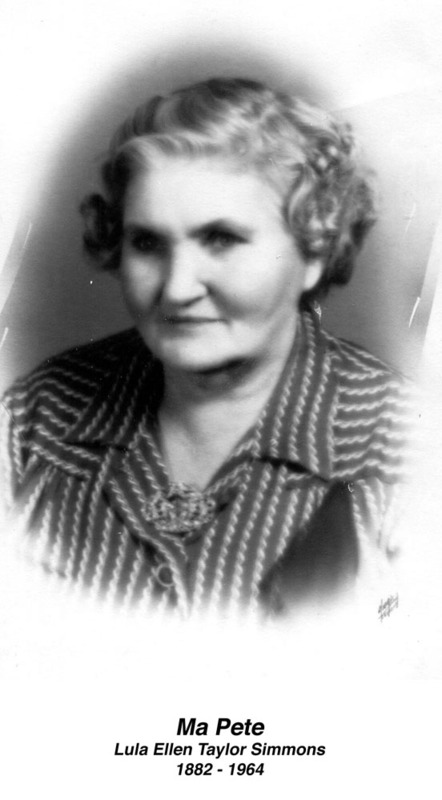 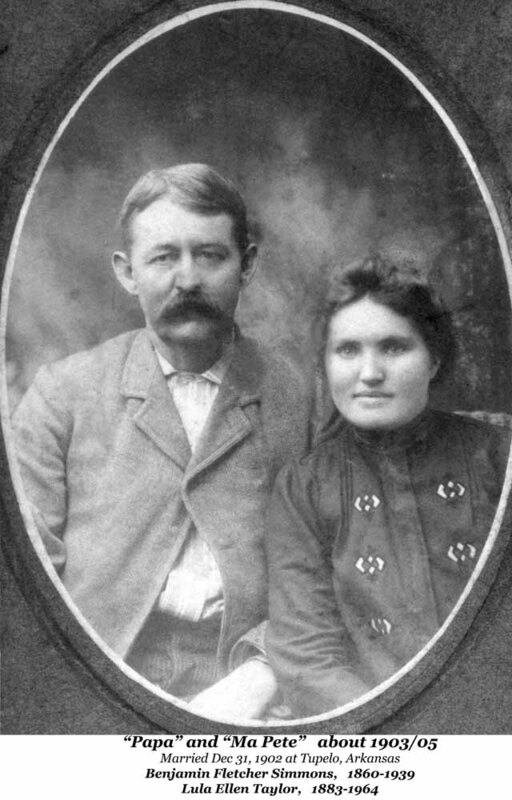 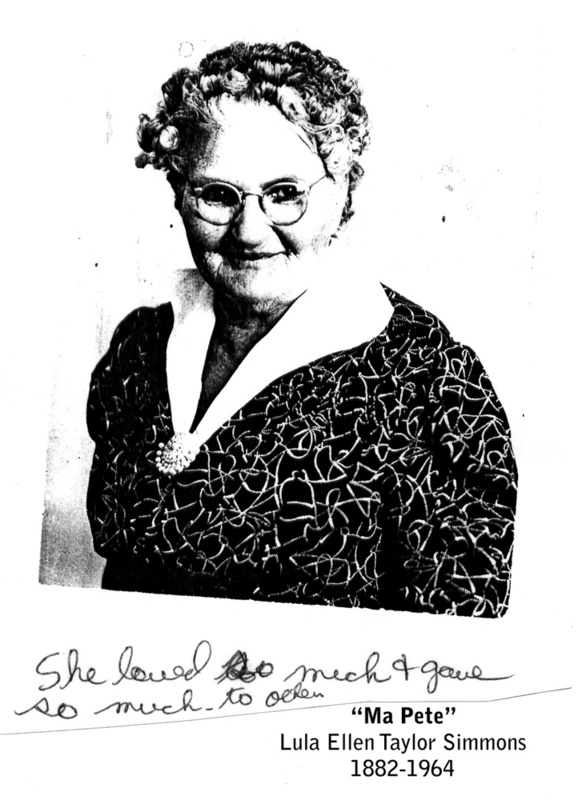 Her husband was Benjamin Fletcher Simmons, who she married on 31 DEC 1902 in Tupelo, Jackson County, Arkansas. 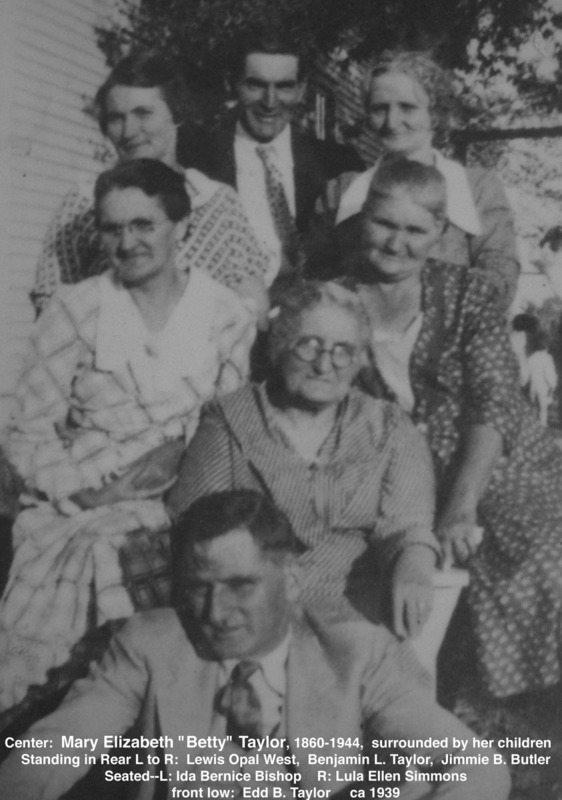 Their three known children were Virgina Elizabeth (1903-1985), Stella (1910-1929) and Elsie Lou (1915-1919). 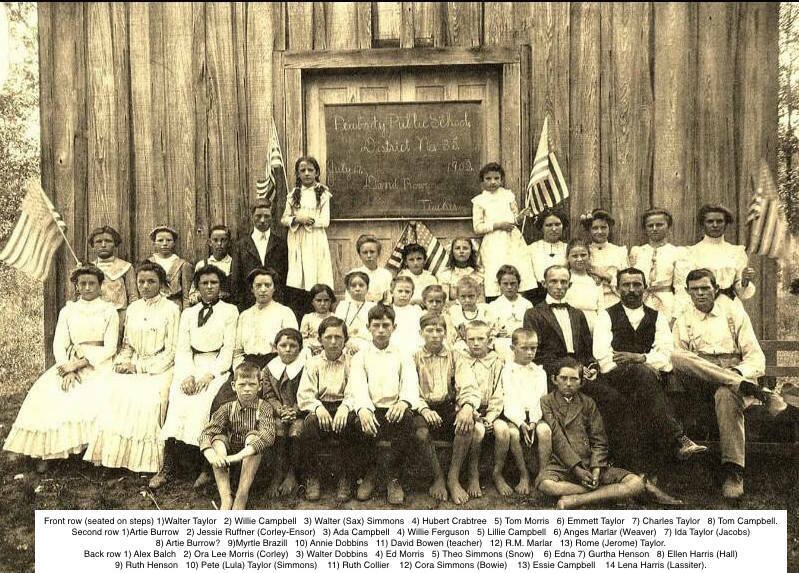 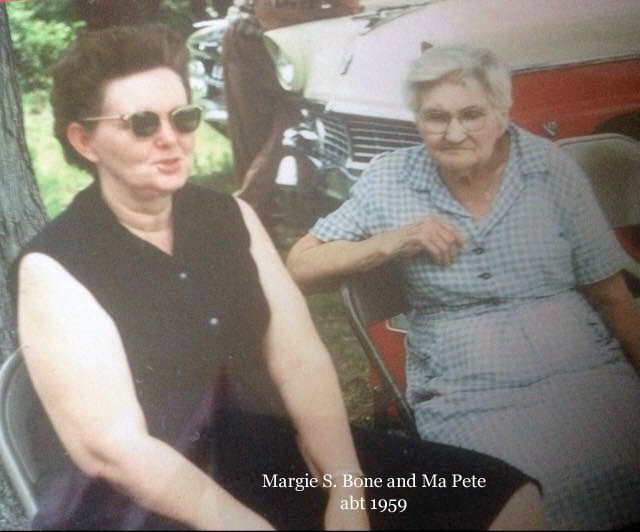 Address: Breckendrige Twp, ED 63, sheet 7, family 113. 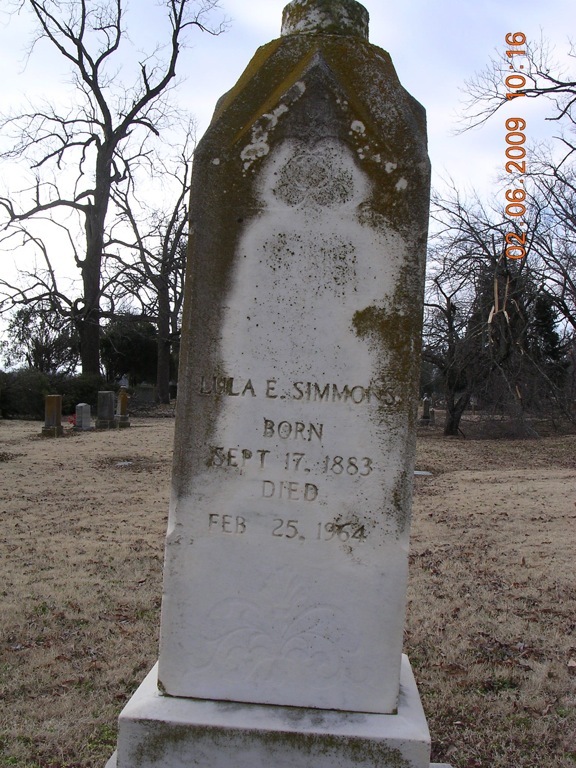 1883 Date is on shared tomb stone in Walnut Grove Cemetary.